We believe creating beautiful design with purpose requires two things: passion and time. Our clients understand that, while our process may be uncompromising, it results in personalized, luxurious designs that are never flashy, and are always aspirational. 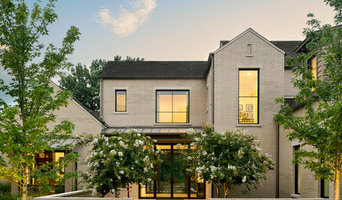 Richard Drummond Davis Architects is a full-service architectural firm located in Dallas, Texas. We have crafted a national reputation for custom residential design, hospitality, and unique commercial projects. We are recognized for successfully blending the classical elegance of authentic period architecture and crisp contemporary design with the comfort and practicality of state-of-the-art technology and the finest building materials and craftsmanship available. From estate homes to adaptive re-use of historic buildings, we are dedicated to providing our clients with excellence in design and functionality. Let us help you realize your dream! Since our inception in 2004 parmadesign has successfully implemented right-sized solutions for our clients. Meaning, our architects will carefully assess your needs and create a solution that combines artistic design, technical functionality, and pleasing aesthetics while carefully adhering to project requirements and budget parameters. With the vision of providing diversity in project experience, we have staffed our firm with architects that bring a breadth of field expertise across all types of builds. This ensures that whatever architectural issue you are working to resolve, they have likely encountered it before in the field and can bring that knowledge to bear to the project at hand. We have a passion for modern and contemporary design and our portfolio includes custom homes, commercial interiors, remodels and multi-family designs. We welcome the opportunity to talk with you about putting your dream project on paper as we are always looking for new design challenges and opportunities. Maestri, LLC – Architecture + Design was founded in 2008 by principal and owner Eddie Maestri, AIA. The Dallas, Texas based design firm specializes in new construction, remodels/historic restorations and full service interior design. As a boutique firm, Maestri, LLC offers clients a high level of personalized service with extraordinary attention to detail throughout the entire design process. The design team plans and consults with the client during every step of the project, working directly with contractors and sub-contractors throughout the duration of construction. The firm has completed, and has current projects underway, throughout the Dallas areas of Lakewood, M Streets, Kessler Park, Preston Hollow and the Park Cities. Other projects have been completed in New Orleans, Houston, and the greater North Texas region. Since before the company's inception in 2006, the founders of mohment were designing and creating cutting-edge multi-dimensional architectural experiences for clients around the globe. 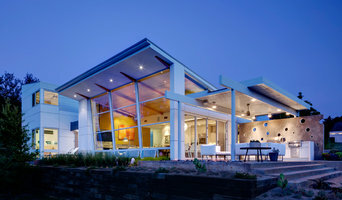 The company's creative vision, artistic expression and problem-solving capabilities are the foundation for its success in designing distinctive environments that communicate a unique point of view. Our mission is to help our clients turn their dreams into reality. In collaboration with some of the most dynamic designers, developers, and architects working today, we are pushing the limits of what is expected. We work in tandem with our clients to create a partnership that encourage open communication and understanding. It is this group dynamic that allows the vision to be realized. We meet and exceed expectations while completing our projects on time and on budget. Mohment has the talent and resources to bring your vision to life. Our commitment is to sustainability, the ability to create designs that will stand the test of time. It is our primary goal to create buildings that integrate design with sustainability so that they have a positive effect on the environment. our professional staff is LEED accredited and passionate about creating environmentally conscious designs that stand out in the sea of green-washed construction. We believe we have a responsibility to modern society and to future generations. Our passion is design. Our medium is 3d. Our firm is a seamless architectural design boutique and media lab that creates photo-realistic three dimensional images and animations. this format allows us to better engage the client in the design process with no limitations or boundaries. The uninhibited 3d environment allows us to manipulate and conquer designs that others shy away from. We are dedicated to the design process through this medium of the unrestrained and unlimited. From corporate + commercial + civic to healthcare, cultural, hospitality, residential and higher education, mohment creates noteworthy, environmentally responsible, and innovative buildings,environments and communities. When you walk into a house designed by a visionary architect, you have an inspiring experience that you don't have everyday. You know the owner has spent his money well. Surprisingly, the design fees of gifted architects are not necessarily any more expensive, especially when you consider the impact on your investment. The difference in enjoyment of an ordinary house and an exceptional house is astounding. When you select your architect you are choosing either acceptable or exceptional design. No one aspect can effect your enjoyment or the real estate value more. A learned, listening professional will discover your desires and interests, enhance and combine them into a delightful composition. The most accomplished architects, are knowledge and have uncommon heightened sensitivities and awareness. Their training and experience reveal the most important aspects of your site, using them to your advantage: views, landscape, topography, sunlight, scale of house for the neighborhood. All these things that are often not even considered by the less thoughtful or trained. A beautiful building is always beautiful for years to come, while half way thought out design has a short shelf life. The expiration date comes all too quickly. For years, you have suffered the unnecessary compromises of bad design. Then you sell for less money than a house that you could have enjoyed. The difference in sales price can be significant, and more than makes up for any difference in design fees. Not to mention, the years of enjoyment of a property is its own reward. We believe that the built environment should help us connect to the land and to each other. During design we seek opportunities to make those connections and balance them with the particular conditions of the project. We work through a collaborative process with the client, contractor, and other team members, so we can integrate the teams diverse knowledge and skills into the project. Our role is to help create and maintain a cohesive and holistic design solution through the different phases of the project. We provide diverse roles to aid in the execution of projects from initial research to design inspiration to building execution. Our involvement throughout the process helps create simple and direct design solutions, and culminate in creating enriched living environments that denote the special character of the client and place. A Residential Architecture firm that focuses on reviving the principles of classical design to create an Architecture that exudes a "quiet elegance". Lloyd Lumpkins provides unique designs tailored to each clients needs that reflects their gracious lifestyle and refined tastes. We invite you to contact us for your next home. Eckxstudio for Modern Architecture is a full-service architecture studio with a focus on all things modern & contemporary. Our services include residential design for new homes and renovations and even occasional furniture design and production. We create unique, comfortable and exciting spaces that are made just for you, your style, your life. We want you to love it. Our mission is to 1) exceed your expectations, 2) respect your project needs and time, and of course, 3) create a modern and contemporary feeling throughout your project. Eckxstudio's design gives your project its distinct character and feel tailored exactly for your lifestyle that you may not be able to put into words — going beyond the four dimensions of length, width, height and time. It is what makes your space more than just another place, and definitely not a cookie-cutter repetition. You are a unique person....shouldn't your home be a unique reflection of you too? Custom home design services by a licensed professional architect. Modern Residential and commercial architectural firm in Dallas, Texas. Adriana is a licensed architect in Texas. Customer service is a priority. I am an architectural and interior designer who studied architecture undergrad at Washington University in Saint Louis and earned a Masters of Architecture from Georgia Tech. I had eight years of work experience in high-end single family, multi-family and retail architecture firms before striking out on my own in 2010. I offer my clients design/build services by partnering with trusted contractors with whom I have worked before. In this way, I am able to make the process from conceptual design to completion of construction as smooth as possible by staying involved from start to finish. Although I do new construction and some light commercial, my passion is remodel. I love seeing the potential in what is existing and breathing new life into a home that many might not consider salvageable. My personal style tends toward the more contemporary, but I have also done Arts and Crafts and other more traditional styles, but infused with the openness and elegant simplicity of modernism. Conversely, my contemporary work is imbued with a warmth and accessibility that eschews the coldness and starkness found in a lot of modern architecture. Additionally, I am a Certified Aging-in-Place Specialist (CAPS), allowing me to design homes for my clients which will allow them to be as independent as possible and allow them to stay in their home as long as possible while they age. How do I find the best Dallas, TX architect for my home design or renovation project? When building or renovating your home, you don't simply hire an architect or building designer — you build a relationship with them. Be sure you chose a home architect who will be involved in all phases of the design process, from the initial concept to the completed construction. Architecture is an incredibly technical profession and one where getting things wrong can literally put lives at risk, so ensure you hire a professional with a valid license or an architectural firm to maintain high quality and standards. Your next consideration will be architectural style. Some residential architects specialise in designing traditional homes or farmhouses, others in designing modern replicas of traditional homes. While a few have a knack for imagining bolder, more futuristic architectural design in Dallas, TX that incorporates the latest technology. Once you have frozen on the architect or building designer, chat through your goals, projected budget, scope of work, schedule and any other specific requirements you might have. Ask them to walk you through the process, including the number of architectural design consultations, site visits and what they will be delivering and when, e.g. feasibility study, a technical drawing, tender package and/or planning application drawings. Also, get a sense of whether they are a good listener, collaborator, and problem solver. Finally, be sure to find out what the architect needs from you,deeds, rights of way, deposit, staged payments and so on. How much does hiring an architect in Dallas, TX cost? Home construction and renovation often have a preset budget and hence it is important to understand how much architects charge. While there is no set payment structure, independent architects may charge differently from architectural firms. Architects sometimes choose to calculate their fees on the basis of a per square foot rate. In rare cases, especially with smaller projects, Dallas, TX architects may choose to ask their clients for a fixed fee. Make sure the total figure and payment schedule is agreed as part of your contract, particularly if you are trying to accurately estimate the cost of building a house. Can you handle my special requests? What is your experience with similar projects/ architectural design and style? Will you help with hiring a general contractor and other subcontractors? Find a home architect in Dallas, TX on Houzz. Narrow your search in the Find Pros section of the website to Dallas, TX architects. You may also look through photos projects to find building designers in Dallas, TX who have worked on a project similar to yours. Be sure to reach out to multiple professionals, especially for larger projects and don't settle for the first bid you hear. 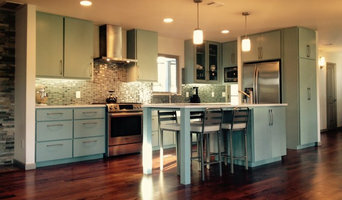 Find the professional for your next project on Houzz.